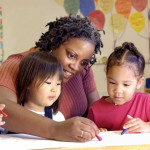 Click here for more information on how to lead your child to school success. To apply for School Readiness funding (child care assistance), please visit Florida’s Early Learning Portal . We have added the Documents Required to Determine Eligibility Checklist (Documentos Requeridos para la Determinación de Elegibilidad para la Preparación Escolar (SR) en Collier, Glades, Hendry y Lee) on this page. Please keep in mind that funding is limited and there is a wait list. Parents are responsible for keeping their contact information current with the Early Learning Coalition. If you have questions about Child Care Assistance or need to update your contact information, please contact one of our locations by calling 239-935-6100 in Glades, Hendry or Lee County or 239-213-1137 in Collier County. Child Care Resource & Referral (CCR&R) is a FREE community service that offers information and referral lists to all families that are looking to find care for infants, toddlers, preschoolers, before and after care for school-age children and summer camp information.